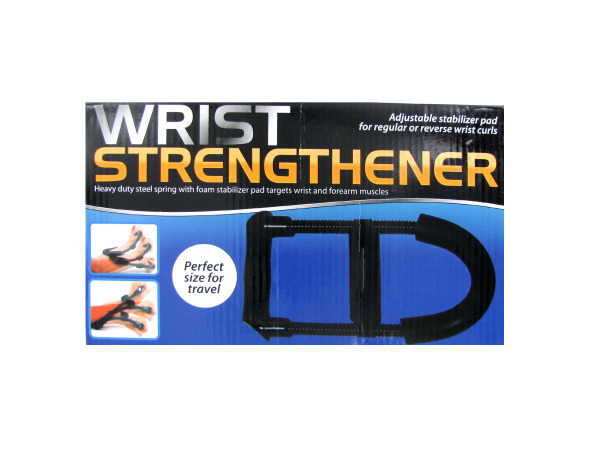 Perfect for travel and everyday use, this Wrist Strengthener features a heavy duty steel spring with a foam stabilizer pad to target wrist and forearm muscles. 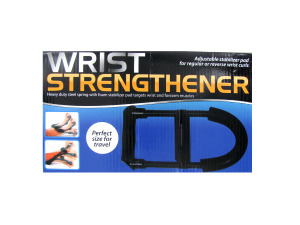 Adjustable stabilizer pad allows for regular or reverse wrist curls. Comes packaged in an individual box. Box measures approximately 10.75" x 6.25" x 1.5".